This fixes bugs introduced with the Nordic Jewelry creation item, as well as prevents its quest from starting automatically. This is a mod to fix the bugs introduced with the Nordic Jewelry Creation Club item, and prevent its quest from auto-starting. The quest no longer starts automatically. 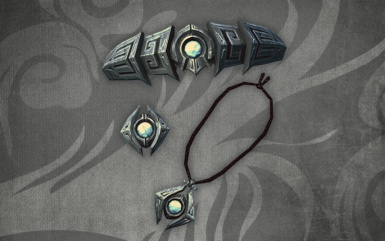 Purchase a piece of Nordic Jewelry from Radiant Raiment in Solitude to begin the quest. The list of bugs fixed can be accessed under the Logs tab in the changelog dropdown. This will show the bugs fixed with each version of the mod. This mod is localized, meaning that translations will appear correctly in English, Spanish, French, German, Italian, Polish and Russian without needing separate versions. The Unofficial Creation Club Content Patch is also available for those who own multiple Creations.